When I first heard the word “PNoy” I thought it’s a shortcut word for “PINOY”. PINOY (a.k.a. Filipino) is a local term for the citizens of the Philippines or anyone with Filipino roots. I came across the true meaning of “PNoy” when I was keeping myself updated (via online) with the inauguration of the 15th President of the Republic of the Philippines (RP) last 30 June 2010. 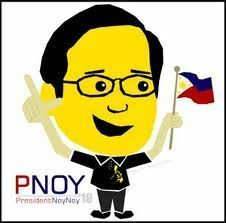 PNoy means President Noynoy (a.k.a. Benigno Simeon Cojuangco Aquino III). I find it cool and funky. The media are still debating on how to spell it (PNoy, P.Noy, P-Noy, or P Noy). Whatever they have decided, I chose PNoy. With the new RP President in place, people around the world are very optimistic that the country’s economy will soar high like an eagle and corruption will be minimized, if not eradicated. Let’s be realistic though, the problems in RP is as high as Mount Everest. These cannot all be solved during the six (6) year term of PNoy. However, if Filipinos work hand in hand with the new administration and continuously take baby steps, these can be cut down to the size of the smallest mountain in the world (Mount Wycheproof). It’s a feat, but it’s worth the effort. Of course, itchy tongues will always be there because people love to talk and criticize. A self reflection and optimistic attitude would be great instead of bombarding PNoy’s administration with tongue lashing criticisms. Here’s a good question to ponder on, “Have I done my part as a responsible Filipino?”; that’s aside from blabbering of course. It’s a given fact that constructive criticisms are helpful but without action, it’s useless. Let’s not put to waste the great efforts done during the first computerized elections. It maybe hounded with controversies and some technical glitch, but Filipinos patiently waited for their turn under the scorching heat of the sun just to exercise their right to vote. On the other hand, PNoy also need to shed light to the pertinent matters that are being hurled against him especially the Hacienda Luisita issues. Maybe the truth commission can help on this?